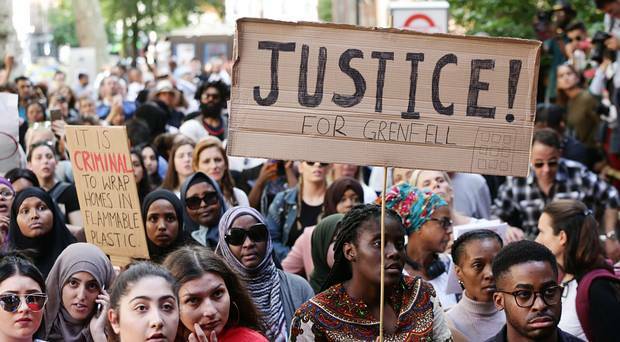 Blogger Edward Daffarn wrote about his fears that Kensington and Chelsea council was ignoring the fire hazard concerns of local residents living in Grenfell Tower months ahead of the blaze, but was quickly dismissed as a fantasist. As a result of the council choosing to ignore his warnings 72 died in the inferno. On Monday the long-awaited Grenfell inquiry into the disaster opened and I hope it gives Daffarn the platform he deserves. It’s very easy to be sneered at and dismissed as a fantasist by lazy journalists who are spoon fed by the great and good and I should know! I was called a fantasist by elements of the Bush Administration when I revealed a woman, known as Prisoner 650, was being held and tortured in the US military base at Bagram in Afghanistan in 2003. Some months later they finally admitted holding her but refused to confirm she was Pakistan-born Dr Aafia Siddiqui. Around the same time I was again called a fantasist by a ‘spokesman’ from the British Embassy in Washington when I revealed that Diego Garcia was being used to detain, torture and waterboard men at a US ghost detention facility on the British-controlled Indian Ocean island. Bizarrely both stories are virtually impossible to find on the internet these days. Pressing the delete button will not make these scandals go away. Ken falls on his sword but what about Blair? So Ken Livingstone has done the honourable thing and resigned after nearly 50 loyal years of service to the Labour Party. He became so deeply embroiled in the anti-semitism furore which has engulfed the party since Jeremy Corbyn took over as leader, I believe his decision is the right one. I know Ken and admire his politics and principles but his clumsy explanation involving Hitler and Zionism proved to be offensive to some Jews and the pro-Israel supporters. Then his subsequent defences and explanations just made matters worse. But what I would say, especially to those Labour MPs dancing on the ashes of the 72-year-old’s political corpse is that now is the time to call for the expulsion from the party of Tony Blair. It should’ve been done years ago. If Livingstone’s words brought his beloved party into disrepute then what about former Prime Minister Blair’s? As far as I can gather no one died from Ken’s hurtful rhetoric but more than a million Iraqi widows and orphans would argue the case for Blair’s expulsion after the tragic consequences of misleading his party and the rest of the country over WMD. My Hi5 of the week goes to Jordan Mavromatis who called on her rugby training when she spotted a handbag mugger target a woman in Wellingborough, Northamptonshire. The 22-year-old swung into action and felled the criminal by grabbing hold of his legs as he tried to escape. In these days of spiralling knife crime she deserves a medal and, in fact, got one in the way of a £750 reward from the High Sheriff. It’s enough to make your blood boil! Female hedge fund managers who consistently outperform their male counterparts are still paid less. It’s time misogyny in the Square Mile was brought to heel and women recognised for their outstanding contribution to the financial sector. Massively underrepresented in the industry, women are underpaid as well compared to the blokes in this Old Boys network. Thank you to Scottish Government Minister for Transport & the Islands, Humza Yousaf for this tweet on hearing a political rival is in his patch … you probably have to be ‘in the know’ to fully appreciate this joke but it is a pearler!